After a sustained period of success over a number of years, The Linnaeus Group have expanded it’s referral team and relocated to an 18,000 sq ft centre located at Origin Point on the Paragon Business Park, Wakefield. The centre covers an array of disciplines such as cardiology, neurology, and soft tissue surgery. 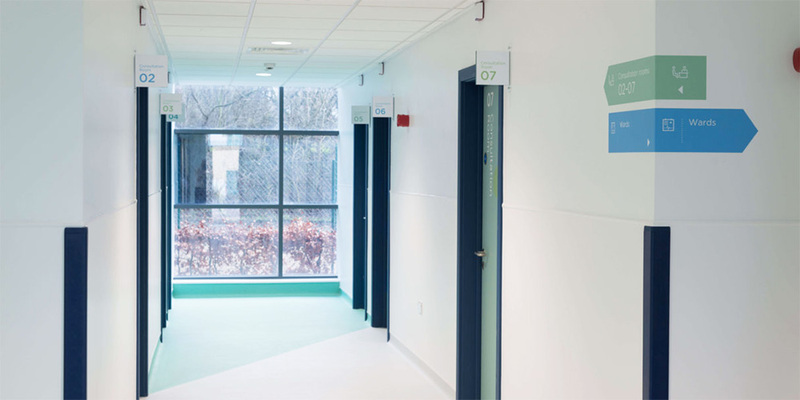 With a recent wave of fresh investment, the client recognised the need to reduce waiting times within the region and have ensured space has been maximised to provide eight consultation rooms, five operating theatres, and intensive care facilities. The client specified BioClad’s range of products to maximise hygiene standards within the new development. BioPod, BioArmis, and BioClad were used throughout the state of the art facility. 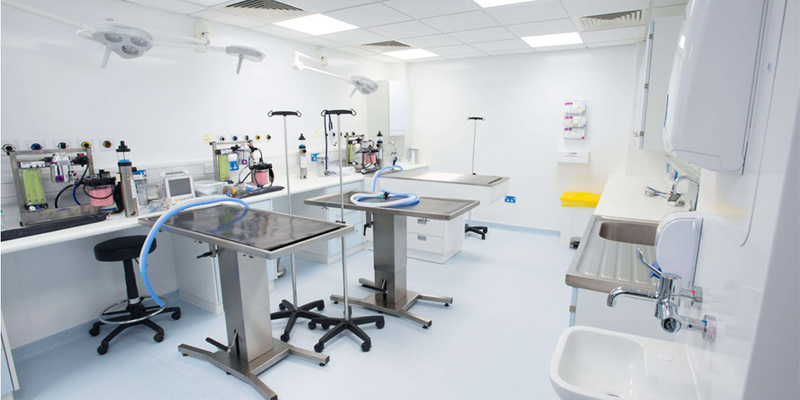 BioClad White antimicrobial cladding was installed into surgical areas and wash spaces with it’s easy to clean finish. 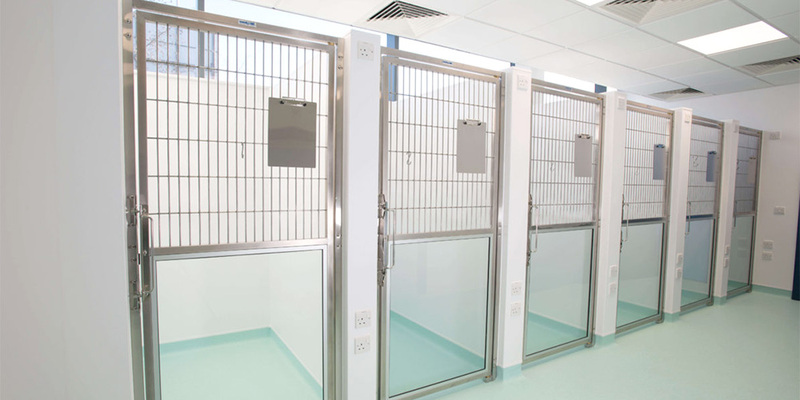 BioArmis White anti-scratch, antimicrobial provided wall protection to the kennel, waiting and corridor areas. 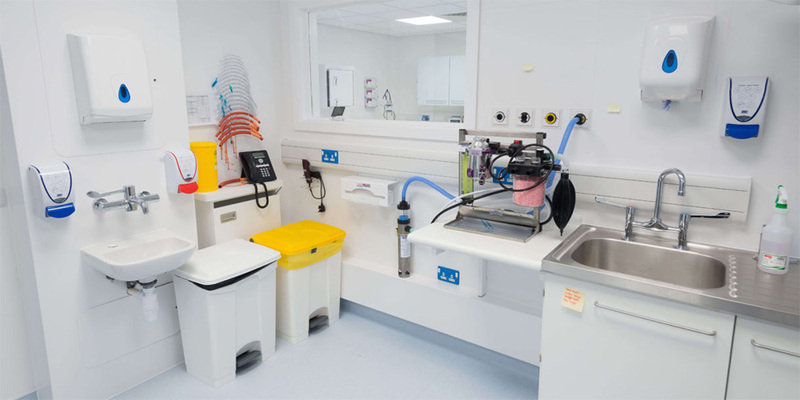 In addition, the BioPod IPS standard sanitaryware combination of Armitage Portman basin with Markwik mixer tap combined with a selection of specialist veterinary sinks was installed. To ensure that the works were finished to the highest quality, Stephen Payne of Surface Solutions was hand-picked to work alongside Main Contractor Illingworth & Gregory to undertake the welded joint installation of wall systems.